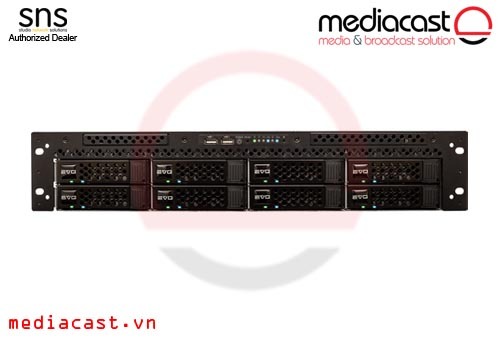 Studio Network Solutions EVO là ổ lưu trữ 8TB (4 x 2TB), được thiết kế cho quy trình sản xuất đa phương tiện, sử dụng 8 x SATA III 6 Gb/s HDD/SSD Drive Bays, tích hợp Multi-Core 64-bit CPUs, cổng giao tiếp 2 x Gigabit Ethernet, hỗ trợ RAID 0, 1, 4, 5, 6, & 10. 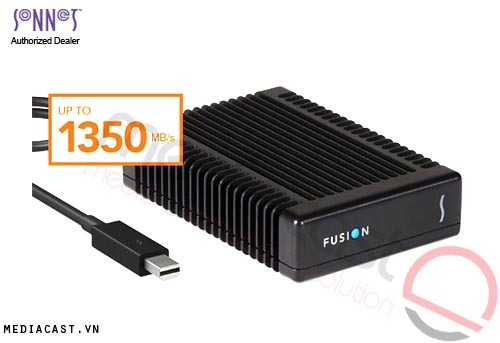 NAS + SAN Server, với chuẩn công nghiệp 2U, nguồn điện 600W. Tương thích Windows, Mac, & Linux. 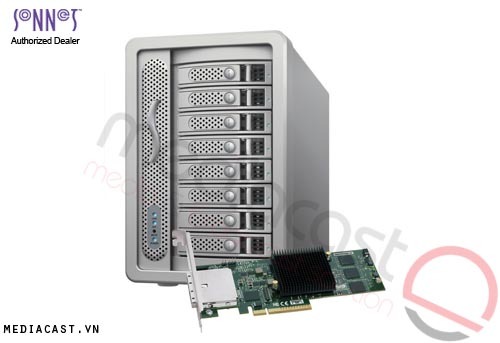 The EVO 8TB (4 x 2TB) 8-Bay Shared Media Storage Server from Studio Network Solutions is a RAID-protected NAS + SAN server that functions as a shared storage solution for multimedia production. 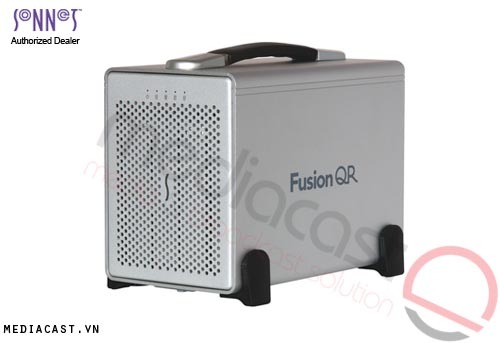 This system is developed and tuned for the workflow needs of TV, film, video, graphics, VFX, animation, audio, and broadcast production environments. 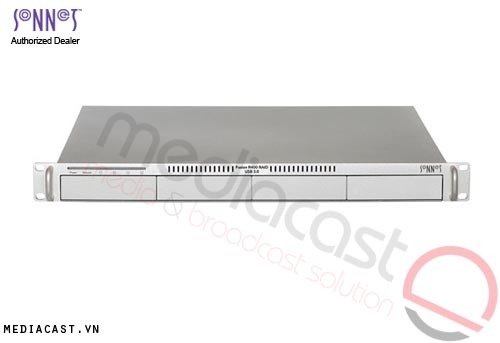 It provides project, bin, and file sharing, Ethernet ports to directly connect computers in a workgroup, high throughput for video workloads up to 6K resolution, and more. 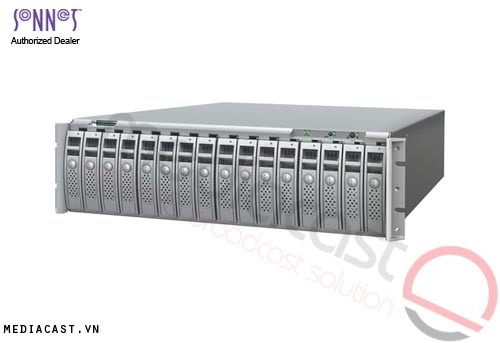 This EVO is an 8-bay system with a 2U form factor. 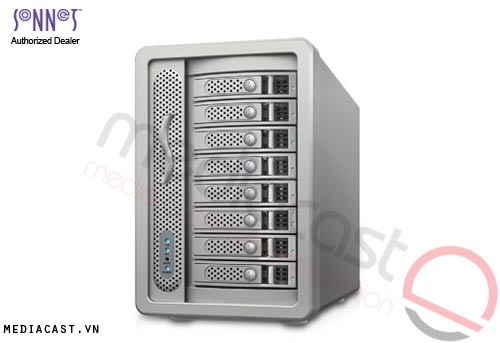 It has a raw capacity of 8TB, comprised of 4 x 2TB drives and is powered by 64-bit multi-core processors. Network connectivity is achieved using 2 x Gigabit Ethernet ports and RAID 0, 1, 4, 5, 6, and 10 are supported. 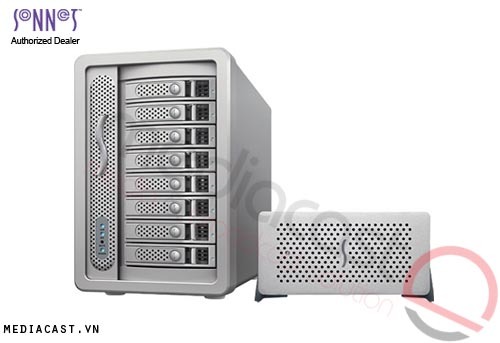 Included are unlimited SANmp admin/client licenses for Windows & Mac, unlimited licenses of the ShareBrowser Desktop Client, the globalSAN iSCSI Initiator for Mac OS X, and a fixed 600W power supply. 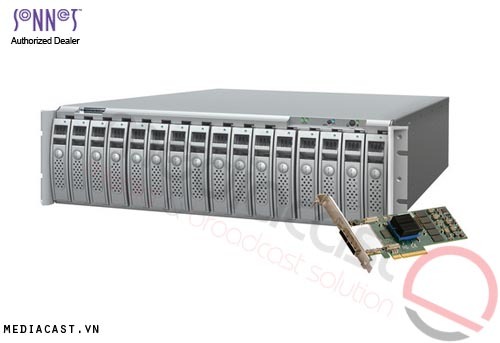 This system also supports one 16-bay expansion chassis for a total of 24 drives of storage between the base unit and the expansion chassis.